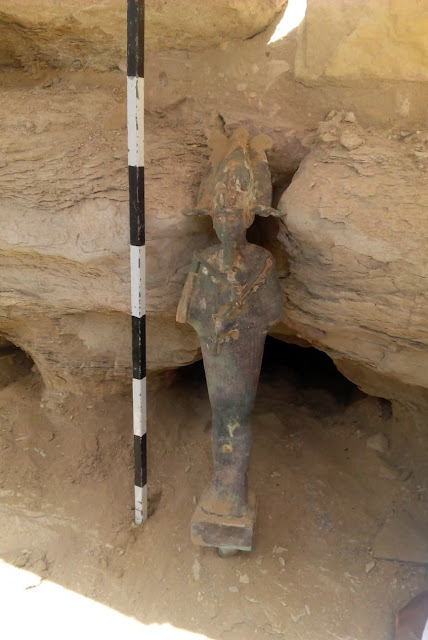 During the restoration work of Djoser (Zoser) step pyramid in Sakkara, a bronze statue of the ancient Egyptian God Osiris was found. The team working at the site discovered the statue during the restoration and preservation work of the west side of the pyramid. Dr. Mostafa Waziry, Secretary General of the Supreme Council of Antiquities, said that the statue was found inside a small hole (gap) between the large stone blocks of the pyramid’s façade while removing the debris. The Statue represents God Osiris standing holding a feather in one hand and sceptre in the other hand wearing Atef crown. The statue has traces of gypsum in some parts. The statue measures 63 cm height (2 feet and 1 inch) and 15 cm width at the widest part. 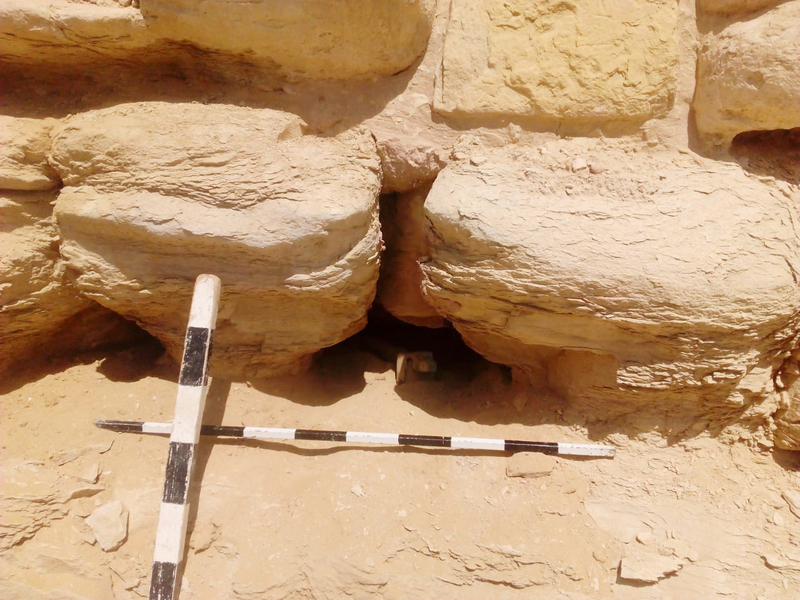 Mr. Sabry Farag, General Director of Sakkara antiquities, said that the statue dated to late period and it was probably put in this gap by one of the priests to keep it safe and as a symbol of Osiris relation to the resurrection. Osiris statue is now at the restoration lab in Sakkara’s antiquities storehouse.